En Primeur is a strange ritual unique to Bordeaux (and Burgundy). Wine merchants, wine experts and wine writers gather to taste barrel samples of last year’s vintage. This year it was 2014, and you can read a first-hand account from Will Lyons, one of the participants. The idea is that you can pre-purchase the 2014s at this time, and save something like 20% on the sale price after their release next year. Sounds attractive? Read on before you get too excited. I won’t hit you with any more details while you catch your breath. Yes, we’re talking $24,000 for a case of wine. Even more modest labels sell for thousands of dollars a case, therefore the notion of a parallel pricing universe. The Chinese were driving prices up in recent years, but have now taken to buying entire chateaux rather than cases of their wines. So where do we end up? 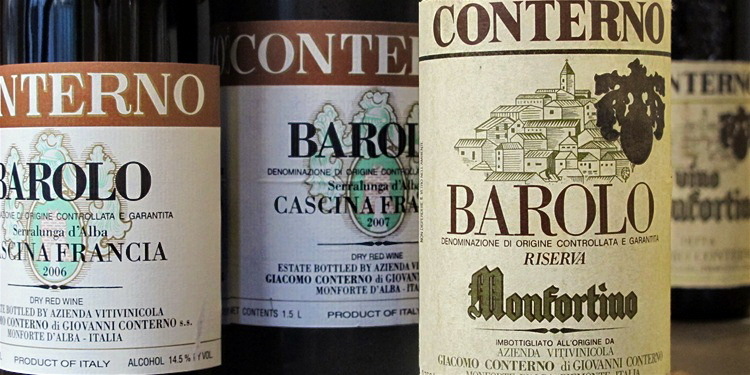 In Barolo in northern Italy, where Andrew sings the praises of wines like a 2010 Monfortino of Giacomo Conterno Barolo and a 2011 Cascina Francia. Great, except that the first wine comes with a price tag of $500 and the second comes in about $300. 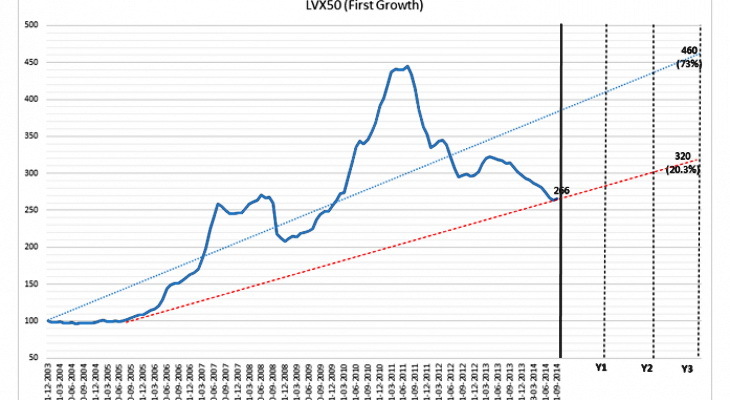 Cheaper than first growth Bordeaux? By a mile. Within reach of ordinary mortals? Hardly. 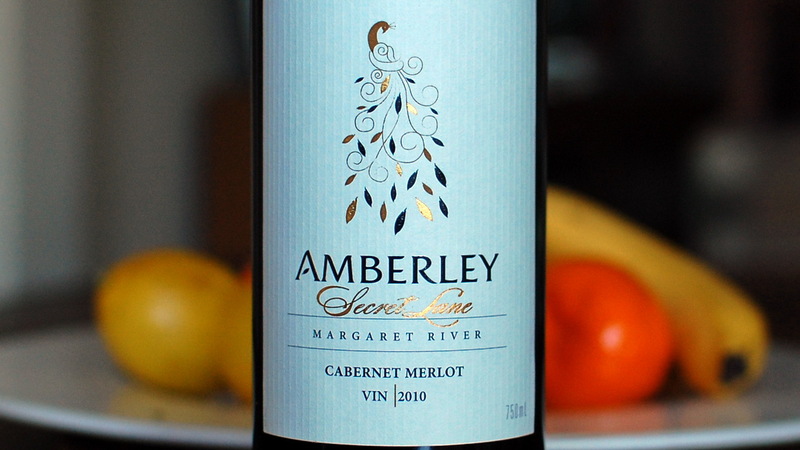 As I’m reading about these exotic wines, I’m enjoying a glass of Amberley Secret Lane Cabernet Merlot 2010 left over from dinner. It cost me about $13 a bottle a couple of years ago. It’s a lovely, elegant red from Margaret River, rich, smooth and satisfying. And I’m thinking back to the reasons I started Best Wines Under $20. The main reason is to keep it real. Wine is a beverage to be enjoyed with colleagues, friends, family and food. $500 and $5000 bottles live in a price universe that’s galaxies away from that which most of us occupy. I’m talking about those of us who buy wine with their hard-earned cash. 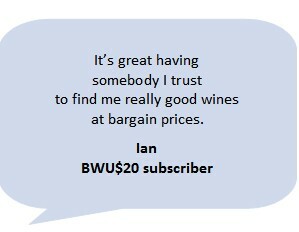 At BWU$20, we continue to buy wine samples for reviews, and wine for our own consumption. Wine reviewers, wine writers and sommeliers tend to lose their grip on reality because they don’t buy wine. They get so many samples they always have more wine than they need. OK, sommeliers buy wine but the restaurateurs foot the bill. If you don’t have to pay for wine you consume, it can’t be easy to keep a clear focus on value for money. Andrew Jefford is just one of many examples. Bordeaux is boring. Everybody in the business knows the pecking order of the top 100 chateaux, everybody knows which of them are on the rise and which are under-performing. There are no surprises here, it’s like real estate in Sydney: you’re not going to find a bungalow at Balmoral selling for 750,000. I find wonderful surprises every week: a serious $9 Malbec from ALDI, a gorgeous $10 Margaret River Cabernet from Kemenys, a $12 Alsace Pinot Blanc from Dan Murphy’s, a classy $14 Chardonnay from Pemberton and a brooding $17 Custodian Grenache from d’Arenberg. And I get a real kick out of every one of these because it takes knowledge and detective work to suss out these gems from the mediocre masses out there. yes, I expected better from him but he’s a pom and they still think of us as those backward colonials obviously. In the immortal words of Pauline: Please Explain!